(TibetanReview.net, Feb10, 2018) – China has on Feb 8 severely criticized South Africa for allowing a visit by the President of the Central Tibetan Administration (CTA) headquartered in India and indicated a threat to stop investing in the country. South African leaders were said to be livid with the tone of the Chinese attack, although having not yet expressed it openly. 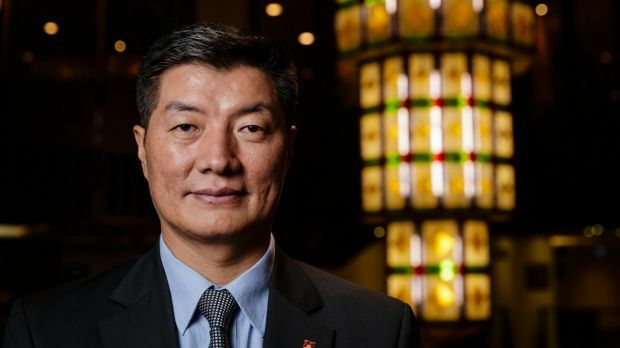 The visit of the exiled president of the Tibetan government in exile, Lobsang Sangay, had “undermined the political trust between China and South Africa” and would discourage Chinese investment, the dailymaverick.co.za Feb 9 cited the Chinese embassy in Pretoria as saying in a strongly worded statement. The embassy was stated to have accused the South African government of having violated its “long-standing commitment to the One China policy”. The report said the South African government was furious with the Chinese embassy’s statement, although having not yet reacted to it officially. Privately officials are incensed that a “strategic partner” could use such threatening language against South Africa – especially after Pretoria had gone out of its way to be helpful – the report said. Officials were also cited as saying there was nothing the government could do to stop Sangay since he was travelling on a US passport and therefore did not require a visa. Besides, he was invited to South Africa by the Inkatha Freedom Party. Meanwhile the CTA said in a news report Feb 9 that Sangay had attended a peace event at the Ubuntu Wellness Centre in Cape Town on Feb 8, along with Prince Mangosuthu Buthelezi, President and founder of Inkatha Freedom Party, lighting with him a peace torch symbolising peace in Africa, Tibet and the world. The event was stated to have been organised by Ian MacFarlane from the Friends of Tibet, South Africa. Those who attended the event were stated to include IFP parliamentary Caucus Chief Whip Narend Singh MP, Deputy Whip Liezl van der Merwe MP, Caucus Chairperson Inkosi Russel Cebekhulu MP, Party’s Deputy President Inkosi Elphas Buthelezi MP, and National Chairperson of the IFP Youth Brigade Mkhuleko Hlengwa MP, and the CTA Representative in the country Mr Ngodup Dorjee.